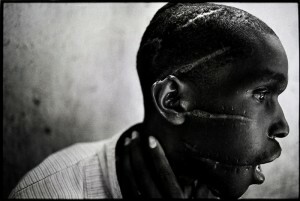 One hundred and fifty horrific photographs of people affected by war are on display at Palazzo Mediceo Seravezza (Jan 30 to April 5 2010). The American photojournalist James Nachtwey brings back images from El Salvador, Liban, Gaza, Afghanistan, Somalia, Sudan, Rwanda, Russia, and Bosnia just to name a few. Horror, terry, pain meet technical beauty in these photos that draw you in but revolt you at the same time. Seravezza, in the province of Lucca, is the Versilia area (see map). 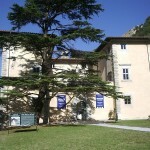 The Medici Palace, now home to Versilia's "Museum of work and popular traditions", is amongst the famous Medici properties represented in the Utens lunettes, and was built in the 1560s. exhibit hours: 3pm to 7:30pm daily, closed monday.